So, your massive crane tips over. 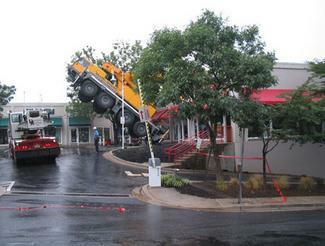 How do you move a crane that's overextended and falls into a shopping center? That's what happened in Bethesda yesterday morning. A crane fell into a small strip small on Hampden Lane and crunched the roof of the complex (and an adjoining office building.) Apparently, the sound of the fall was so astounding people thought it was a bomb or a gas main exploding. Nope. It was just some idiot overextending a crane. Four cranes later, the deceased was removed from the scene of the crime, but the businesses remain closed until inspectors can verify the extent of the structural damage. One block to the south, and this event would have shut down the Yuppie Nexus of Bethesda life, the Bethesda Avenue/Woodmont Avenue "Clump o' Affluence." 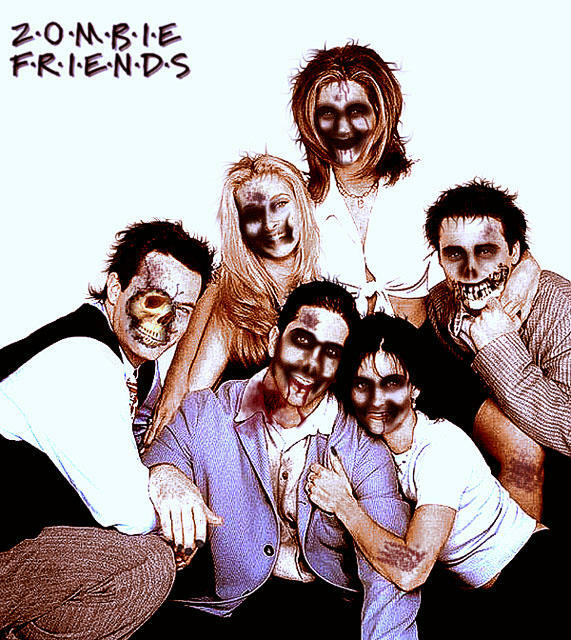 The Cool 'n' Beautiful People (and their nannies) would have been utterly traumatized and left to aimlessly wander the streets, like designer-clad zombies, in search of a place to be seen and eat overpriced food. Oh, wait. They kinda do that anyway. Never mind. some... tapas... oh, and brains!!!! Sometimes, when I'm writing this stuff, I have no idea where it's going to go. Like this one. Had no idea it was going to develop into a zombie indictment of wealth in Bethesda. Go figure. Yikes! You could hardly know this, but I have a honest, bonified PHOBIA about large cranes and the possibility of their falling over. Seriously. I know, what were the chances?